Triple-negative breast cancer (TNBC) is the most aggressive and prevalent subtype of breast cancer in women worldwide. Currently, chemotherapy remains the main modality for the treatment at an early stage, as there is no approved targeted therapy for early TNBC. In this review, we investigate the use of microRNAs (miRNAs), which play a key role in the post-transcriptional regulation of genes involved in the key biological processes, namely proliferation, differentiation, angiogenesis, migration, apoptosis, and carcinogenesis. Here, we emphasize the importance of the recent advances related to miRNAs, involving diagnosis, prognosis, and treatment of TNBC. We focus on the development, optimization, and stabilization of miRNA-based drugs; improvement of miRNA delivery; and control of the off-target effects of miRNA therapeutics. We speculate as to which features may present themselves as promising approaches in the treatment of TNBC. • Patients diagnosed with negative ER, PR, and HER 2 are the most prevalent subtypes of breast cancer with limited targeted therapy. • miRNAs play a key role in regulating the gene expression of the key biological processes including proliferation, differentiation, angiogenesis, migration, and apoptosis. The involvement of miRNA has also been identified in carcinogenesis. • In TNBC, miRNAs make major contributions to the diagnosis, prognosis, and treatment. • We suggest that miRNA-based therapeutics could be a promising approach in the treatment of TNBC. We would like to thank DST-EMR/2016/002694, DST-FIST (SR/FST/LSI-568/2013), and GITAM (Deemed to be University) for providing lab facilities. 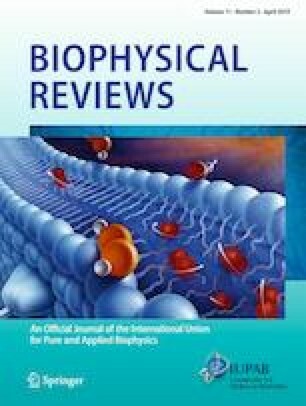 RRM and SK contributed in designing of review. AKB, MM, SN participated in drafting and editing the manuscript. All authors have read and approved the final manuscript. Rama Rao Malla declares that he has no conflict of interest. Seema Kumari declares that she has no conflict of interest. Murali Mohan Gavara declares that he has no conflict of interest. Anil Kumar Badana Gavara declares that he has no conflict of interest. Shailender Gugalavath declares that he has no conflict of interest. Deepak Kakara Gift Kumar declares that he has no conflict of interest. Prasuja Rokkam declares that she has no conflict of interest.